Mobile printing bus will bring art to life on location and there is no better way to bring our equipment to different areas that we dream to visit than with our Mobile Printing Bus. Its literally a dream machine for Live Printing™ and allows us to carry thousands of garments, people, and equipment to hold it down during a live printing event and easily go way beyond scale with ease of movement. In other words our mobile printing bus can handle massive events and audience. What do you make on the bus? The bus is fully equipped to produce garments, mugs, phone cases, tote bags, custom posters and tons of other items we touch base on at our Live Digital Printing, and Live Screen Printing page. Mobile Printing Bus is a lifestyle! We love that we can travel anywhere and provide a great product and unique service while fulfilling a dream of adventuring to the places we have always wanted to go. You can find our mobile printing unit in almost every state throughout 2017 and beyond. The bus will be making stops at almost every college campus, ski resort, youth camp, music festivals and event we can put on our radar. What can I buy on the bus? 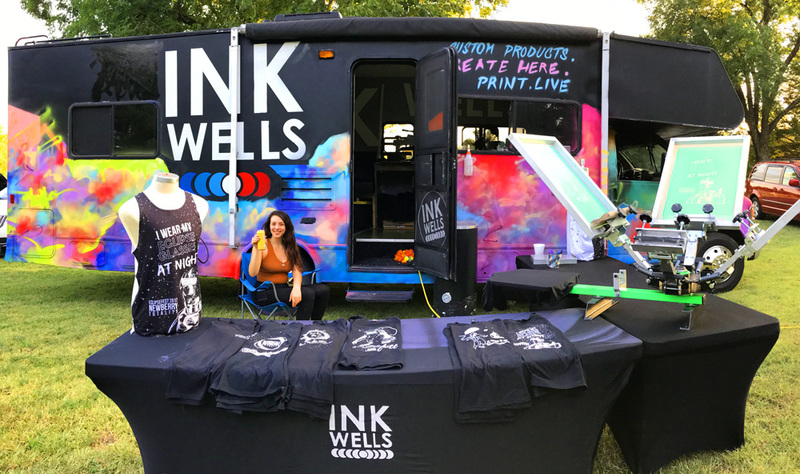 The Ink Wells mobile printing bus is a full service mobile printing shop and you can order custom apparel, posters, photos, hats, hoodies, vehicle wraps, window installations, stickers, flyers, brochures and just about any product that can be found on the Ink Wells website. I am hosting an event and would like the bus to attend! Is that possible? Of course! The purpose of our tour is to service you and your event! We offer our printing service at a minimal expense to you! Look out for the Ink Wells Mobile printing bus this summer, fall and winter coming to your home town for some creative collaboration! 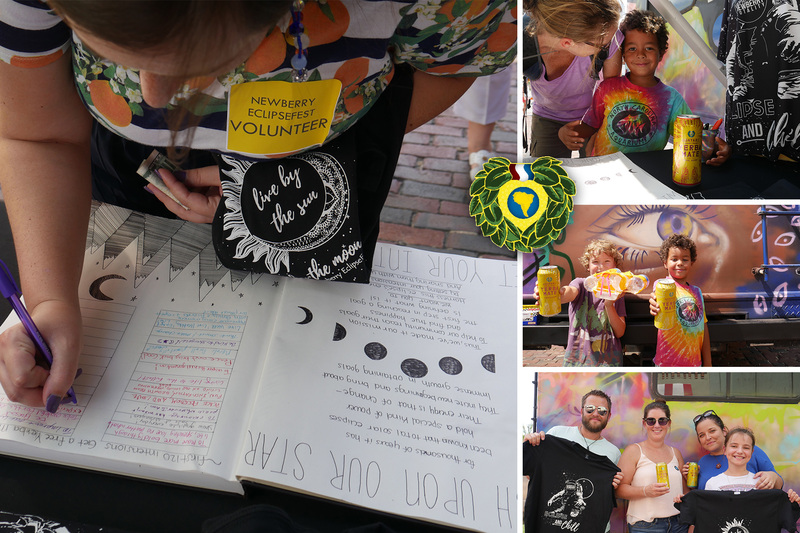 Guayaki Yerba Mate and the Ink Wells RV collaborated on a free yerba giveaway at the Total Solar Eclipse in Newberry SC. Guests could sign their intentions for the eclipse and were introduced to free chilled yerba cans. GET IN TOUCH WITH THE BUS.